Why has this gotten less attention than the non-marine monuments? People have clear emotional attachments to the national monuments they’ve visited and seen on their friends’ Instagram feeds. It’s easier to wrap your head around the value — geological, historical, cultural, biological, what have you — of a place when you have a personal connection to it. In 2016 alone, more than 330 million people visited National Parks Service-administered lands; NOAA, on the other hand, does not uniformly track visitor data of its sites. 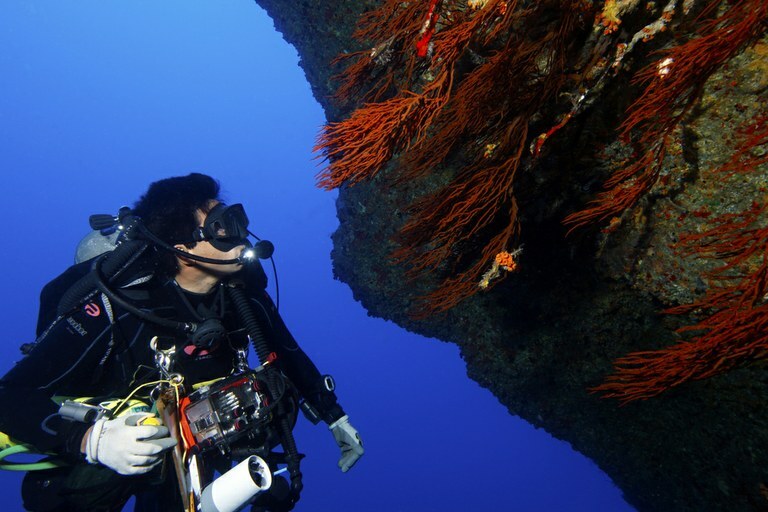 A technical diver observes black coral on a deep dive in the Papahānaumokuākea Marine National Monument. But like other protected landscapes, these seascapes have been selected for preservation because of their unique natural and cultural resources. Papahānaumokuākea National Monument, for example, is home to the endangered Hawaiian monk seal and numerous other threatened and endangered species. There is an imminent threat attached to the review of these sanctuaries and monuments: drilling. An executive order on the America-First Offshore Energy Strategy prompted the review, and one of the review’s explicit objectives is to assess the “opportunity costs associated with potential energy and mineral exploration and production” from the waters surrounding the United States. Note: This story has been updated to reflect the number of public comments the Department of Commerce has received thus far, as well as the fact that the Interior Department also collected comments regarding marine monuments. On July 26, the department extended its public comment period.